Still unable to bring Helen back from the dead. Am I the only one who has a problem with this toy's name? #1: B!7*#y. #2: Lemon Meringue aka Madeline. Madeline is not B!7*#y! Pretty... hilarious. I dunno if I should laugh or not. Blackberry Bun Wrote: Pretty... hilarious. I dunno if I should laugh or not. If it helps, I felt anger, sadness and shock at the same time when I saw that. My basic response was "*pfft*". I don't really see how "pfft" fits the emotions you mentioned, David. I actually sputtered in surprise over the name of the toy. Took me by surprise, that thing. Then the confusion over the conflicting emotions set in. Oh, I bought more ponies today. Two Oopsie Bears (Applejack and Rainbow Dash) and three I've never heard of: Dewdrop Dazzle, Lulu Luck and Cupcake. Cupcake was a pony from the 1980s. 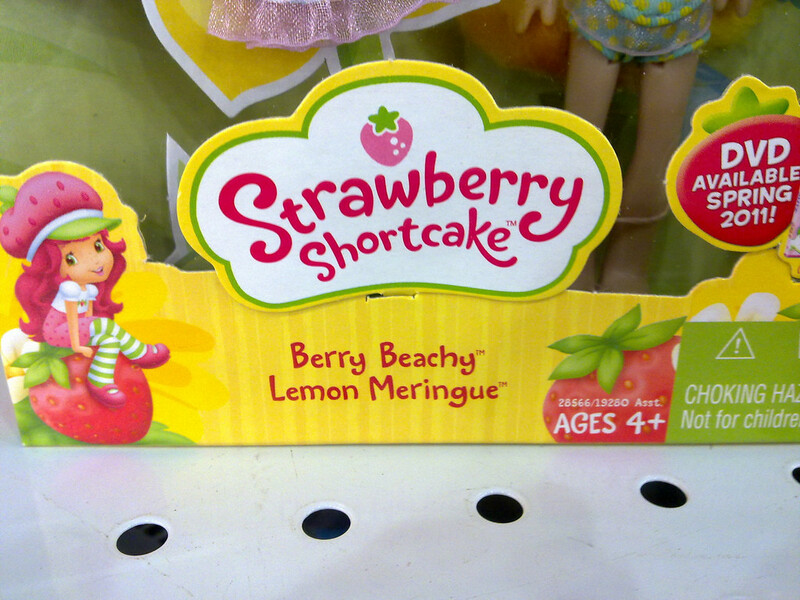 By the way, "Berry Beachy Lemon Meringue" reminds me of "secret but fun" from those new commercials for the Pound Puppies remake. 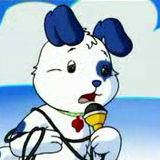 The narrator says the pound puppies have a secret hideout, to which a sheepdog interjects with saying, "Secret but fun!" Just add in an extra letter t. . . I wouldn't be surprised to learn one newly hired advertiser at Hasbro is being silly for the sake of amusing adults, though I don't know what I think of it. Stella Grapes Wrote: Cupcake was a pony from the 1980s. Noted. Although I should note that it was in G4 packaging. Not sure what to make of it. As for the latter, I'm surprised that many parents have not objected to the toy's name. Had to snuff out a spammer that crept in the forums. Viacom finally launches Nick Jr as a separate channel in Asia. But it's on TM's IPTV platform over here. How will I cope when they show ads for programming on the main channel, which is only available through Astro thanks to Astro's dirty monopoly tactics? We'll find out when that happens. Hopefully it doesn't involve reactivating my Astro decoder, and getting a HDMI switch and a RCA switch. But the big Q is: Does it has Humf? The big A: No, according to Singapore's TV guide. 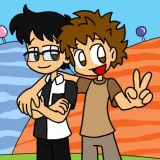 They could've done better to bring in Boomerang and KidsCo instead.